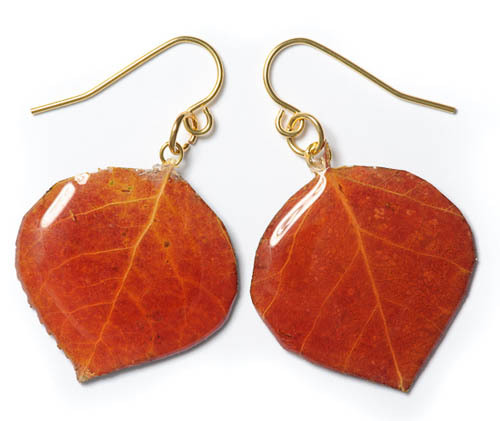 Natural aspen leaf french wire earrings. Colors vary from reddish orange, to greenish yellow. These are made from real leaves so every set is unique.